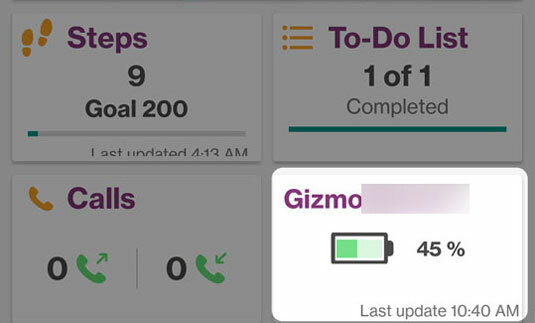 Ensure your GizmoHub app is actualizado to the most recent version. For more info on the GizmoHub 3.0 app, refer to GizmoHub FAQ's. Tap the GizmoHub icon . Si aparece la pantalla de PIN, ingresa tu PIN. Tap the Dashboard tab (lower-left) to view battery life.